Two new proposals related to European security and energy cooperation was made last week by Russia. During official state visit in Finland Russia’s President Dimitry Medvedev gave a key note speech in Helsinki on April 20th outlining a “new European security structure”. Same day Russia made public goals and principles of new framework for energy cooperation. In a speech he delivered in Berlin last June, Medvedev suggested that an “all-European summit” be convened to draft a new security arrangement to govern relations between Russia and the Euro-Atlantic community. He indicated that the new pact should attempt to build on the 1975 Helsinki Final Act. If final product, under Medvedev’s scenario, would be a “Helsinki Plus” agreement that created new guidelines for inter-state relations. At the time of Medvedev’s Berlin speech, ties between Russia and the West had already been damaged by NATO’s continued eastward expansion, Washington’s missile defence plans, Moscow’s decision to suspend its participation to the 1990 Conventional Armed Forces in Europe (CFE) Treaty, and Kosovo’s unilateral declaration of independence. The August 2008 Russian-Georgian war and the subsequent Russian-Ukrainian natural gas dispute further strained those relations. In a keynote speech at the University of Helsinki on April 20th 2009, Medvedev also offered another glimpse of his designs for”new European security architecture,” first floated in June 2008. Citing well known recent conflicts the Russian president said existing security organizations are no longer capable of guaranteeing Europe’s security. Recalling that 2010 will mark the 35th anniversary of the signing of the Helsinki Final Act, the President said the future treaty on European Security should be seen a ‘Helsinki plus’ treaty. It should be viewed as the confirmation, continuation and effective implementation of the principles and instruments born out of the Helsinki process, but adapted to the end of ideological confrontation and the emergence of new subjects of international law. Medvedev also repeated Russia’s call for a new security pact to replace NATO, an idea that initially got a cool response when first broached at the Organization for Security and Cooperation in Europe’s (OSCE) meeting in Helsinki in December. 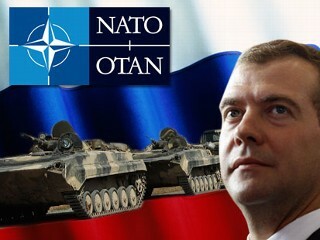 Russia has said NATO is a Cold War relic. It wants a legally binding pact enshrining arms control, a commitment not to use force, and guarantees that no single state or group of states can take a dominant role in the continent’s security. Russia is inviting all states and organizations operating on the European continent to work together to come up with coherent, up-to-date and, most importantly, effective rules of the game. For this work neither NATO nor the EU seems fully appropriate, because there are countries that do not belong to either. The same applies to organizations such as the CIS or CSTO. It could take place at a summit of the OSCE but of course in Russia’s view there is a problem with the OSCE as well. According Russia the OSCE has focussed on solving partial, sometimes even peripheral security issues, and this is not enough. Therefore, Russia proposes another forum which could lead to a productive dialogue among all parties without exception. The Russian President said the new Euro-Atlantic treaty should replace the imperfect arrangements that are and create an undivided security area encompassing the hemispheric band from Vancouver to Vladivostok. The basic principles in the treaty are compliance with international law, respect of sovereignty, control of arsenals, renunciation of force and resolution of conflicts through peaceful talks. The first one contains the international energy cooperation principles, which must be included in the new international legal act. The second section contains elements of an agreement governing [energy] transit, an integral part of which will be an agreement on resolving transit conflicts. The third section contains a list of energy materials and products that Russia suggest applying these legal acts to. So, besides gas or oil, also all other energy products, including nuclear fuel, electricity, coal, and all the other goods traded by in the energy sector. According Russia it would be advisable to elaborate a new universal international legally binding instrument, which, unlike the existing Energy Charter-based system, would include all major energy-producing (exporting) countries, countries of transit, and energy consumers (importers) as its Parties and cover all aspects of global energy cooperation. The new framework would according Russia create transparency of all international energy market segments production/export, transit, consumption/import. U pdating old or building new? The core question for further development of Russia’s security initiative is from which platform start the process. There has been and is different scenarios about this. USA‘s long-standing preference for NATO as the transatlantic institution of choice has several explanations. The Alliance has been successful — at least until Afghanistan — and it helped the West win the Cold War without firing a shot. NATO’s job, as British Secretary-General Lord Ismay famously put it in 1967, was “to keep the Russians out, the Americans in, and the Germans down.” But rather than close up shop with mission accomplished in the early 1990s, the 1949-founded pact sought to find a new purpose. Then there is the proposal to open NATO to Russia. The Russians favored this option throughout the 1990s and even during Putin’s first term in office; today this option seems quite unrealistic. Yet another option is to resuscitate the Organization of Security and Cooperation in Europe (OSCE) and turn it into a real pan-European security organization. This was one of the ideas back in 1990, when the OSCE (then the CSCE) was still connected with the spirit of the Helsinki process. This is no longer the case. Through neglect and infighting, the OSCE has fallen into tragic disrepair. EU is a bit question mark as leader of this project. Even if the Lisbon Treaty is ratified this year — a prerequisite for serious EU security policies — the European Union will still need to prove that it can act effectively in the face of crisis. Did Russia’s so-called Helsinki-plus initiative take a step forward in Helsinki, or not? Finland’s chairmanship of the OSCE and the OSCE meeting that was held in Helsinki in December last year stuck closely to the line that the current structures are a good basis for agreement on European security issues. Despite recent improvements in Russia-EU and Russia-NATO relations, Georgia, Ukraine, the three Baltic States and most Central and Eastern European countries — all states that view NATO as the main pillar of Europe’s security — remain either openly hostile to, or extremely wary of the Russian security proposal. By contrast, Azerbaijan and members of the Collective Security Treaty Organization — a Russian-led regional body that brings together Armenia, Belarus, Kazakhstan, Kyrgyzstan, Tajikistan and Uzbekistan — support Medvedev’s plan. According Russia the proposals would be discussed at a prospective summit forum in Helsinki, to be called “Helsinki-plus”. One summit is however only a tiny part of realization. When the Heads of State and Government of the CSCE met in Helsinki in 1975, the participating States had held more than 2400 meetings in Geneva, and deliberated on 4,660 proposals. So a new pact will require careful work and time. Since 1975 the map of Europe has changed a lot, the same occurred to problems which today are more complicated and having various global aspects and local variants. From my point of view the international organizations managing security, economical and energy issues have not necessary developed with same scale – some updated structure could be suitable. Two last decades have been giving many bad practices which – if copied – can make Europe with surrounding regions more unsecure. I think that now it is time at least discuss about lessons learned, develop and copy better practices. Will the outcome be a new structure or updated old one shall be seen but even more important is to start process itself. Twitter revolution did not change government in Moldova but created big drama instead including a couple of conspiracy theories and “fast-track” mini enlargement of EU with one million new EU citizens Moldova possibly losing a quarter its citizens. So a relatively small improvised demonstration can lead its (mis)use for possible purposeful utilization of multidimensional aims of different players. In my post “Twitter Revolution-Case Moldova“ I described a bit implementation and motivations about events occurred after 5th April elections in Moldova. Conclusions about elections itself are in my post “Election in Moldova – Nato Perspective blocked”. Few days later April 16th Moldavian President Vladimir Voronin expressed totally opposite conspiracy theory claiming that nine Serb nationals took part in organising the coup d’état in Chisinau, adding that the Moldavian secret service has information that the unrests were headed by former ‘resistance’ fighters. President Voronin said he had a photograph of a Serbian citizen who he claims is working for the Americans. – We have it all on tape and we can identify all the animals who were attacking the police – Voronin said. Speaking in an interview for the Spanish daily El Pais, Voronin said nine Serbian citizens and several Romanian agents have been registered in Chisinau. There are growing social forces in Moldova seeking reunification with Romania for nationalist reasons and as an easy path to EU membership. Already between 10% and 20% of Moldovans have Romanian, and by extension EU, passports. The fear of Romanian expansionism frightens Transnistria away from reconciliation, while the “Kosovo precedent” gives its arguments for independence more weight. Romanian President Traian Basescu told the Romanian parliament that he would fast-track Moldovans for Romanian citizenship following riots in the Moldova (Source DW) . Fast-tracking citizenship to some 1m people next door in Moldova, in effect giving EU citizenship to a quarter of the population of Europe’s poorest state. 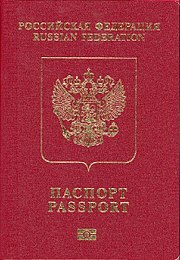 To make issue more complicate one should also note that at same time Russia is trying to draw Transdniestr into its orbit by giving out passports to (Moldovan) citizens living in this breakaway republic. If it is true that Moldovan government had purposeful utilization of demonstration I would claim this to be a double stupidity: First to implement this kind of action when you actually have almost landslide win in the election and second to be caught in the act of fabrication. The April 5 parliamentary election may have been flawed, but not to the degree the opposition claims. Was “Twitter revolution” an attempt of another so-called “colored revolution,” or simply an expression of rage by young people who demand to live better lives? There are certainly specific individuals in Moldova who are interested see unification with Romania as the easiest way into the European Union. Looting of government buildings seems more hooliganism than a plan to take control of the country or to bring about “regime change by force. One question is if using social networks with modern technology very democratic way in politics? This tactic suits mainly in urban areas by people – mostly younger generation – who are familiar with modern communication means and have infrastructure supporting them. Many in breakaway Transdniester are watching the recent events in Moldova with satisfaction, in that the unrest and violence only serve as a further reason why they should not agree, in the wake of Kosovo’s independence, to once again become a part of Moldova. For over a decade, Transdnistria, South Ossetia and Abkhazia had strong cases for independence, even stronger than Kosovo’s (My comparison Kosovo-Transdnstria in article “Transdnistria Follow-up”. Today they have de facto independence, even if it is not recognized. And if now some Moldovans or wannabe Romanians are demanding border changes – after Kosovo – how can they be denied this? The whole mess now in Moldova makes EU’s position challenging; what is its position about this kind of mini-enlargement, how implement new European Partnership (EaP) program on the ground, how deal with secessionist Transdnistria, Gagauz and maybe more regions, what kind of cross-border activities to support? And the next color will be …? 16th April is the Blog Reader Appreciation Day organized by Bloggers Unite***. Bloggers depend on loyal readers but rarely thank them. 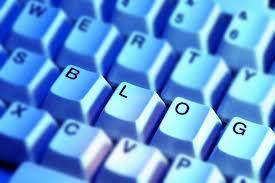 The event gives bloggers a change to do so around the blogosphere. It also gives a change to blogger think own author-readership interdependency if there is or should be such a thing. In this case my perspective is purely individual one and I don’t go to business blogging nor today’s popular issue where blogging is used one channel to attract voters behind some party or candidate – to buy political program, product or service. I can speak only on the behalf of myself but when I started blogging my first concern was not the reader. My motivation came and still comes from need to express my opinion about issues important to me. While living and working in West Balkans I saw big difference between the picture of western mainstream media and situation on the ground. The same gap I saw while EU in contemporary history has been making programs, decisions and EP reports related to Balkans, Northern Black Sea Region and Russia. I took the task to make my share to narrow this gap. First I tried to write to EC officials, MEPs, ministers and policy makers with nonexistent success, then I started blogging with different platforms and audience and at least the feedback has been totally other scale. As I am not a paid lobbyist of any product or interest group and I am not earning money with ad clicks in my blogs I can freely write what I think, be provocative, biased in other words express myself egoistical way. At first sight this can be seen arrogant neglecting of readership. I disagree. In mainstream and mass media as well marked orientated promotional campaigns of groups with special interest there is enough flattery to get potential clients or supporters. So with some freedom from pleasing readership I can offer some alternative anyway. Some readers expect from blog same criteria than printed articles in respected press or magazines. I compare blog more similar to op-ed, talkback or commentary pages than news or edited articles. At least my posts are not objective (who’s is) scientific (science has also conflicting paradigms and methods) truth and they are far away from academic research. Often my columns may be biased highlighting the other side of story. As such they can create possibility to angry responses and as best debate with reasonable arguments. So if my post is one-sided without objectivity is it same than (individual) political statement or program? My answer is no. Political statement rarely takes account reader feedback or screens readership opinions only to make original agenda or message more powerful. If I make a provocative post based to some arguments it can inspire some angry reader with totally opposite view to write critical response backed his/her counterarguments. After this or longer dialogue it is possible that I must admit the weakness of my original arguments. Whatever the outcome, I hope that afterward the readers and I too will have more versatile picture of events than before. Blogging for me is a learning process. Counterarguments from readers are bringing new information and aspects to respective topics – some time they force my search issue more deep to back – or rejection – my own arguments. In some forums the feedback I get consists mainly about personal insults, sometimes in comments one can not find a word about topic itself. I wondered why these commentators still were reading my blog and I came to conclusion that they must be masochists. The bright side anyway is that it shows that with blogging it is possible to find different kind of readerships. While writing a blog post also I am reader searching new angles or fresh information from the field. Blogging without readers is possible; with them it is more rewarding. Bloggers Unite is an attempt to harness the power of the blogosphere to make the world a better place. By asking bloggers to write about a particular subject on 1 day of the month, a single voice can be joined with thousands to help make a difference; from raising awareness for cancer, to an effort to better education systems or supporting 3rd world countries. More my views one may find from my BalkanBlog! Demonstrations against President Mikhail Saakashvili continued fifth day on April 13th in Georgia. Consolidated opposition demands president’s resignation, early presidential and parliamentary elections being held in the spring 2009. So far the participation to protests is not enough to implement Rose Revolution II but two new regional questions have potential to develop conflicts and change political geography once again. Critics accuse Mr Saakashvili, who came to power on the back of the 2003 Rose Revolution, of monopolising power and exerting pressure on the judiciary and the media. Last year’s war, when Russia crushed a Georgian assault on breakaway South Ossetia and caused also separation of other breakaway province – Abkhazia are added to his other crucial mistakes. During previous demonstration in 2007, Saakashvili deployed the military and successfully — though violently — crushed the protests. But that demonstration consisted of 15,000 protesters. Now the first time all 17 opposition parties have consolidated enough to organize a mass movement in the country. Furthermore, many members of the government – who were leading also Rose I – are joining the cause. Some 60,000 people turned out on Thursday for the first day of demonstrations – but far fewer were visible on Friday. About 10,000 people protested Saturday 11.4.2009 in three locations: in front of parliament, outside Saakashvili’s residence and at the headquarters of the main state television channel, where they called for the demonstrations to be broadcast live. Georgia’s political opposition will erect fake jail cells at sites across Tbilisi to symbolize the country turning into a police state and to symbolise imprisoned democracy. 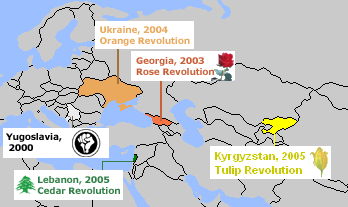 There is also concern that protests are planned in the Georgian secessionist region of Adjara, which rose up against and rejected Saakashvili’s government in 2004 after the Rose Revolution. This region was suppressed by Saakashvili once and has held a grudge ever since, looking for the perfect time to rise up again. Tbilisi especially wants to keep Adjara under its control because it is home to the large port of Batumi, and many of Georgia’s transport routes to Turkey run through it. Thousands of protesters gathered in Batumi 9th April with demand president’s resignation. Movement for “Fair Georgia” representative said they will hold similar rallies on May 6 if the president refuses to resign. If Adjara rises up, there are rumors in the region that its neighboring secessionist region, Samtskhe-Javakheti, will join in to help destabilize Saakashvili and the government. Georgia already officially lost its two northern secessionist regions of Abkhazia and South Ossetia to Russian occupation during the August 2008 war and is highly concerned with its southern regions trying to break away. In Samtskhe-Javakheti, an isolated, predominantly ethnic Armenian region in the country’s south there is a risk that socio-economic problems may turn into ethnic problems. The financial decline, crisis in central government and ethnic question makes the region a potential conflict region. First if opposition can get more supporters on the streets, President can manage today’s demonstrations, but if there is over 100,000 protesters this could be enough for revolution. Second aspect is if there will be enough support for change outside Tbilisi and especially if the two secessionist regions see opportunity now implement wide autonomy. Third aspect is the response of present government and President, violence can develop situation worse at least mid term, negotiations and concessions can divide opposition. Georgia is not isolated state in Europe, it is only one flashpoint in northern Black Sea region. In Moldova some activities started last week, in Ukraine triangle drama between two governing parties and opposition is erupting anytime soon boosted next gas bill and rising ethnic tensions. Neighbour Balkans has its own tensions and the big game about energy and sphere of influence is going on between U.S., EU and Russia. Anyway that part of world can be a little bit different after this year. After Orange (Ukraine), Rose (Georgia) and Tulip (Kyrgyzstan) revolutions the first try of next generation demonstration took place in Moldova after last weekends parliamentary elections.Known now as “Twitter Revolution” the protest was self-organized by two youth movements – Hyde Park and ThinkMoldova – using their generation’s tools of social messaging network to gather 10,000-15,000 demonstrators on streets in Moldova’s capital Chisinau, ransacking presidential palace and parliament building. As many as 50 per cent of Moldovan eligible voters cast their ballots for the Party of Communists (PCRM). Thus, the ruling party won a landslide victory leaving the other three political parties that made it to parliament far behind. Three other parties managed to pass the 6 per cent threshold required to enter the legislature. All three are in favour of closer ties with the European Union, free-market policies and pursuing NATO membership. The Communists (PCRM) are pro-EU, anti-NATO and less market-friendly. Election observers from EU and OSCE accepted the voting as fair, though they expressed some concern about interference from the authorities (OSCE report). But the results were a deep disappointment in the capital.Expectation of change was in the air before voting, but that did not happen. The protesters created their own searchable tag – #pman referring Chisinau’s central square – on Twitter, rallying Moldovans to join. Real time communication can be checked from #pman. Mihai Moscovici 25, who provided updates in English all day over Twitter, painted a more nuanced picture. He said the gathering on Monday night drew only several hundred people. The protesters agreed to gather the next morning and began spreading the word through Facebook and Twitter.When Internet service was shut down, Mr. Moscovici said, he issued updates with his cellphone. ThinkMoldova — Change Moldova! is a platform dedicated to young people. It is the place where young people directly participate in proposing new ideas and take part in the decisions important for their own future and their country.It is about giving initiative to young people and fights to offer them the possibility to affirm themselves outside of the conventional, hierarchical and parochial institutions prevalent in Moldova’s society and political system. ThinkMoldova’s mission is to create an active and productive dialogue between decision makers, experts and young people. I am sure this kind of platform can attract much more than traditional party youth organizations and example from Moldova shows its effectiveness in politics. Today’s communication tools are providing new aspects into election campaigns and into politics in general.One of them is that modern technology can inspirit young voters.The second aspect is that the protest does not necessary channel via voting but through street democracy. One can claim that both of these aspects can include undemocratic elements because majority of population is not familiar with these tools and direct democracy with violence can gain power more than fair share.On the other hand one can claim that the Establishment in such has so strong means to exercise of power that normal elections are insignificant.My position is not clear because situations in every society differ. Use of today’s information possibilities has many ways.Th!nk About It blogging campaign is one forum to inspire youth involvement with the 2009 European Parliamentary Elections based mostly discussion and debate in internet.ThinkMoldova gives example how debate can be brought on the street level. We shall see what is the next Think, can it be EU wide and can it motivate crowds to streets or direct actions. One problem is manipulation the media etc. which is common phenomena in political actions as well hijacking a demonstration for purpose of one interest group. In Moldova case the two organizations behind protest condemned the violence and some had opinion that opposition parties were behind these acts. Opposition parties deny this and of course it is possible that the Establishment orchestrated the hooligan part of demonstration to weaken NGOs. The truth – I don’t know. The Moldovan experiment showed that with Twitter some development has made since demonstrations in Ukraine 2004 and Belorussia 2006 which were gathered mainly with SMS. It is practical and effective but from my point of view not sufficient method for democratic revolution. For protest sure, for revolution maybe, sometime, somewhere. Last week-end Moldova had parliamentary elections. The ruling Party of Communists won so no big change in politics is expected. Elections in EU’s border have however some significance as the new leadership will be the counterpart during period after EP elections influencing e.g. enlargement, partnership and security questions. Before Moldova (FYRO) Macedonia already had their voting and many ways very important elections in Ukraine are coming later. Moldova is one of the frontlines of “battlefield” of interest spheres between EU and Russia, between U.S. and Russia and between future energy political deals. It is also a test for international law, conflict management and territorial sovereignty. 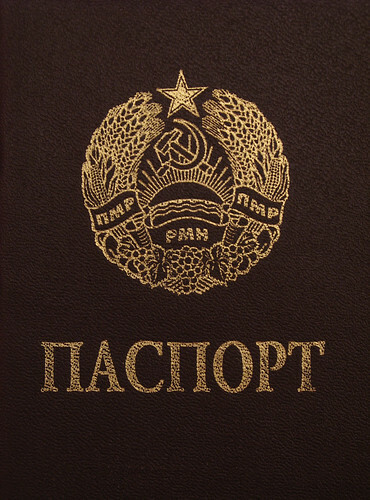 As many as 50 per cent of Moldovan eligible voters cast their ballots for the Party of Communists (PCRM). Thus, the ruling party won a landslide victory leaving the other three political parties that made it to parliament far behind. Three other parties managed to pass the 6 per cent threshold required to enter the legislature – the Liberal Democrat Party with 13.9 per cent, the Liberal Party with 13.9 per cent and Our Moldova Alliance with 10 per cent. Liberals have demanded Moldova’s reunification with Romania. All three are in favour of closer ties with the European Union, free-market policies and pursuing NATO membership. The Communists (PCRM) are pro-EU, anti-NATO and less market-friendly. The other formations failed to clear the six-per-cent threshold. The Social Democratic Party – which proposed (Infotag 20 March 2009) to pass the Transnistrian region to the Russian Federation into a concession for 30 years – grabbed 3.71 per cent of the votes, the Christian Democratic Popular Party 3.02 per cent, the Democratic Party 2.97; the Moldovan Centrist Union 2.76 per cent and the European Action Movement 1 per cent. The other parties and independent candidates mustered less than one per cent. The Central Election Commission (CEC) has reported voter turnout was 59.52%, i.e. 1,543,966 persons, of whom 14,838 people voted at polling stations opened in foreign countries. The April 5 parliamentary elections in Moldova met many international standards and commitments, but further improvements are required to ensure an electoral process free from undue administrative interference and to increase public confidence, the International Election Observation Mission said in a statement, on Monday, April 6, at a news conference. Moldovans share a linguistic and historical heritage with Romania, but its Transdniestria – aka Pridnestrovie aka Pridnestrovskaia Moldavskaia Respublica (PMR) – region broke away in Soviet times because it feared Moldova would unite with Romania. Most of Moldova was once part of its western neighbour. Transdnistria has practically been independent – if not recognized – state already over 17 years. Short historical representation one may find from here. Within the meeting the participants were to evaluate the functioning of the eight work groups created to elaborate the confidence-building measures between Chisinau and Tiraspol in the social-economic and humanitarian domains and to single out new tasks related to this. Violent protests have broken out in Moldova after the ruling Communist Party was elected on Sunday. About 10,000 – some sources claim over 30,000 – demonstrators gathered on a central square in Moldova’s capital Chisinau to protest against the newly elected government. Some had waved European, Romanian and Moldovan flags from the roof of the president’s offices. Some of the protesters are demanding Moldova’s reunification with Romania, while others are chanting “Down with the Communists!” Some protesters stormed the Moldovan parliament and presidential office and set fire to furniture. Traffic along the city’s thoroughfare has ground to a halt, but police say they have the situation under control. One woman died and about a hundred people were hurt after protesters. Moldova’s parliament will select a new President as Mr Voronin is not eligible according law to be reselected anymore. However he probably will get new influential post – maybe PM or Speaker of Parliament – so his policy will continue. This means no to NATO, no to reunification with Romania, some but not full cooperation with EU, continuing decline of GUUAM (cooperation body supported by US energy giants and military-industrial-complex) and frozen situation with separatist regions. Talks about solution for Transdnistria/PMR will probably continue in 2+1 format (Moldova and PMR as parties, Russia mediator), possible result will be delivered to official “western backed” 5 (Moldova/PMR, Russia, Ukraine, OSCE)+2 (U.S. and EU) process. If the talks are leading to unlikely scenario to pursue the federalization of the Republic of Moldova then also it is expected that the demands of transforming Gagauzia region from autonomy to republic will increase. Notwithstanding the outcome of Moldova/PMR talks the separatist region will continue its life as state – Transdnistria has all statehood elements, its economy is relatively good with export to over 100 countries and it can manage without UN seat. If EU recognize the reality it could remove the visa ban and start pragmatic cooperation. According BalkanInsight.com – online publication of Balkan Investigative Reporting Network – Moldova’s president Vladimir Voronin today accused Romania of involvement in the violent protests which have swept Chisinau. Moldova has also decided to expel the Romanian ambassador and to introduce visa requirements for its Western neighbour. 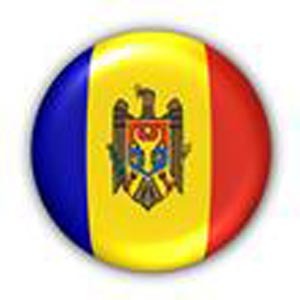 Moldova was part of Romania from 1918 to 1940 until it was annexed by the Soviet Union. Moldova became independent in 1991 and the two countries share the same ethnic and linguistic background. Relations between the two countries have deteriorated under Vladimir Voronin’s Presidency. In 2007 Moldova stopped Romania from opening two consulates in the country, claiming Bucharest was trying to lure Moldovan citizens. You are currently browsing the Conflicts by Ari Rusila blog archives for April, 2009.